My friend Santosh kumar who works for one of the humble govt organization is diagnosed with cancer. 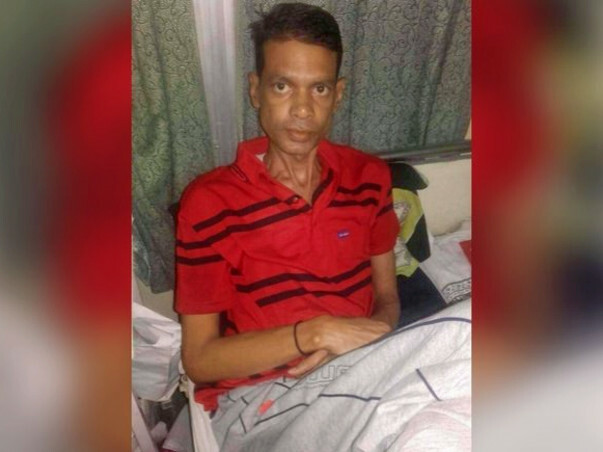 He is been treated at AIIMS and doctors have estimated around 10 lakhs for his treatment. We have setup a crowd funding page. 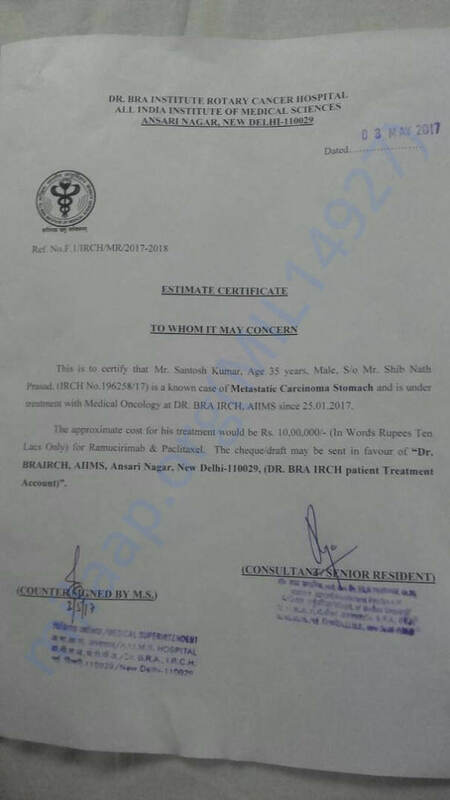 Request you to kindly donate and help Santosh get good treatment. Also please do share details of any NGO or social organization who will be willing to help. Santosh passed away on the 18th of August. Santosh had been diagnosed with cancer and was being treated for the same for the last one year. His cancer reached the fourth stage in February and was hospitalized to continue further with the treatment. During the course of the treatment, his body became very weak and he developed Jaundice in July. In spite of the doctors best efforts to help him, his body was unable to take the stress. Your timely support ensured that he received the best medical care. Hope Santosh’s soul finds peace. Please keep him in your prayers. Thanks to all for their immense contributions. Santosh is now stable as he is on medication as of now. Hope he gets well real soon. We all thank you for your donations and request you to share the campaign.